A few years ago, I was considered rather unfit and over weight. I did no sport or exercise what so ever, and pretty much lived on a diet of junk food whilst sitting in front of a computer (hands up if you’re familiar with this situation). I had partaken in some martial arts for a large portion of my life prior to that, but after suffering a freak injury, fell into some bad habits and gave the whole thing up. So how did I get back to health? I had tried to get fit just by going to the gym, but motivation is a cruel and fleeting mistress, and if you have little to no idea on what you should do or how to do it, that can quickly fall by the wayside. Through a series of conversations with various people, they informed me of Fighting Fit Combat Sports and a class they taught out of there that focused solely on Grappling. I would say dragging myself out to that first lesson pretty much saved my life. Therefore, with my own experiences as a guide, I’ll detail out why Combat Sports such as grappling, Brazilian Jiu-Jitsu, and striking arts such as kickboxing, can help with that drunken promise you made on January the 1st to make this year the year you became fit. You are surrounded by people moving in the same direction. The first pitfall when taking up fitness at a gym is despite it being packed full of people, especially in January, it is a very lonely place. Everyone has their earphones in, on separate machines, doing their own little work out in their own little world. Apart from perhaps training with a gym buddy, you become very aware that if you don’t appear one day for your usual work out, will anyone notice? Eventually you may not feel bad for missing the odd session, which eventually becomes a few sessions, until those trainers and tank tops are hiding deep in the furthest corner of your bedroom, and you’re back where you started by June. I was trapped in this exact same cycle. Starting in a Combat Sport you become surrounded by people who want the same as you. Fitness, technical proficiency, weight loss, muscle gain, agility and flexibility, these are all traits that fighters (how else should we describe such folk) want to gain and improve. Being involved in such a community, people will care about your health and attendance, because instead of being in a room with strangers, you’re in a room filled with friends and peers. People who will miss you when you don’t attend, and you’ll miss in return. Fitness is a side-effect of training. In Combat Sports, you will sweat, you will become exhausted, and you will get fitter. What you don’t realise just yet is that all this is a side-effect. 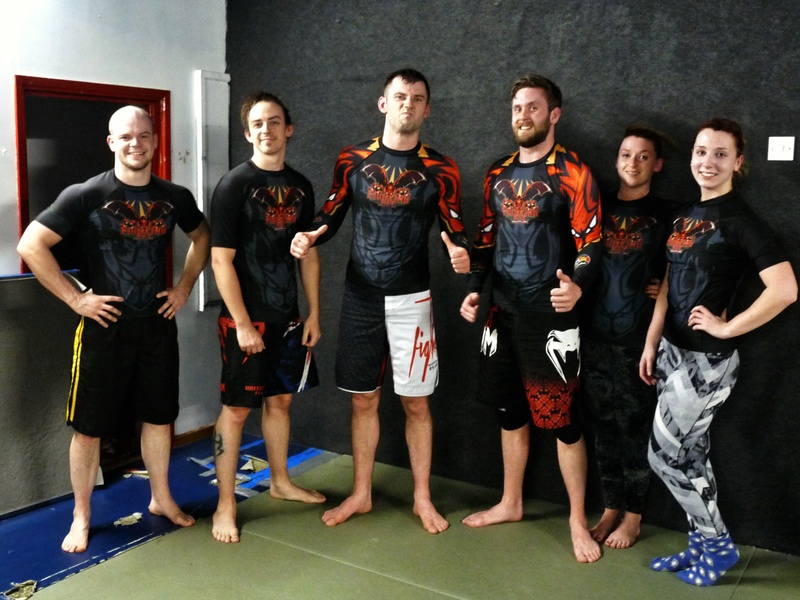 Like I said at the beginning, I joined on to the grappling class. 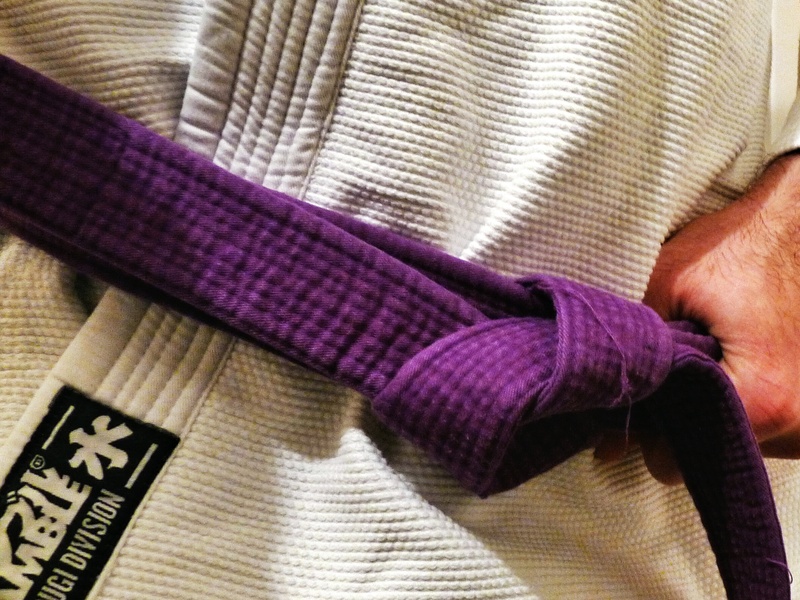 Grappling and Brazilian Jiu-Jitsu in particular are very cerebral sports, utilising and learning thousands of techniques to be able to subdue and submit your opponent, and you have ample time to perfect those techniques in sparring. 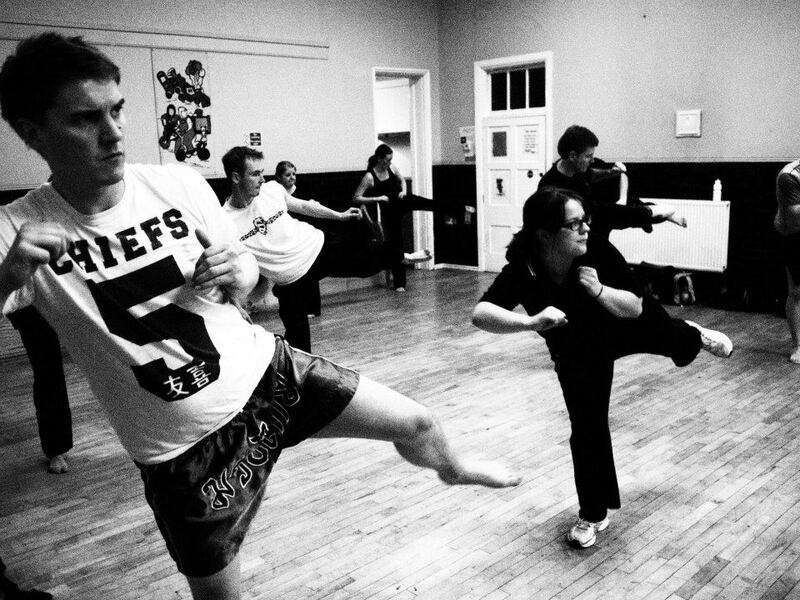 Suddenly, the class isn’t about getting fit, it’s about doing well in sparring and competition. You forget that 30 minutes of sparring is the equivalent of running 5-6 miles, or that you have indeed done that much exercise, because you become obsessed with the game itself. It isn’t until a month or 2 down the line that you notice your jeans fit better and you look better in tight T-Shirts, and you wonder when or how the hell that happened. The best way I can describe working out in a gym is it’s maths with weights and machines. The adding of calories burned on cardio exercises plus reps of weights multiplied by sets, it’s counting with heavy things. Combat Sports deliver a better workout, and you literally forget it’s even happening. Your reason for getting fit changes. Being fit, for me, used to purely be for aesthetic reasons, which in fact is one of the hardest ways of staying motivated. I wanted to just be slimmer and more muscular. Now, the way I look at being fit is because I want to be better at my sport. I now visit the gym to be stronger and increase my endurance so I do better in sparring. I frequently attend yoga and pilates classes so I have improved flexibility and agility for when I am training in class. And I eat healthily to make sure I have energy for long grappling sessions and so I fit into my chosen weight bracket when competing. Becoming addicted to a Combat Sport can result in you making purposely amendments to your lifestyle to become a better person. There’s a reason boxers are always seen road running, or Mixed Martial Arts fighters are lifting weights in the gym. It isn’t because they want to necessarily run or look muscular, it’s because they want to be the best they can be. Now that doesn’t mean you have to be the next Champion of the World, because even beating a rival in the gym during sparring can make you want to add 10 press-ups to your day. This is not to say that you HAVE to go to the gym to be good at fighting, but it certainly changes your perspective on going there. Combat Sports keep you coming back. As I have already alluded to so far in this article, joining onto a a fight-based club can make changes to your overall lifestyle, and result in you becoming fit without even noticing. This is where Combat Sports come into their own. Say you have been to the gym and eating well, and you have finally come close to your original target. Now what? This is where a lot of people will yo-yo through being fit and then letting things slide till they are unhappy again, rinse and repeat. Once you are happy inside a fighting style of martial arts, and your goal has changed, you’ll end up staying around and sticking to it. So far, it’s been 6 years since I walked through those doors, and I have yet to take a week off. Meaning I have kept fit, active, and eating well, for over half a decade. I know for a fact that if I had just tried to maintain it on my own by going the gym, I would have ended up carrying on in those awful cycles. All of this is down to once you are involved in a class such as those previously mentioned, there are a multitude of reasons to stick around. From the friends you’ll make inside the group, to the constant learning and evolving of your technique, the friendly rivalries that you’ll find in sparring, and possibly even the will to win in competitions, you’ll simply forget that once upon a time, you actually walked through those doors to get fit. So if you did resolve that this year would be YOUR year, maybe it’s time to think out side of the box on how you’ll get there. Maybe following the linear path of “lifting, running, and salad” doesn’t always work. Combat Sports aren’t just places where thugs gather to beat each other up. 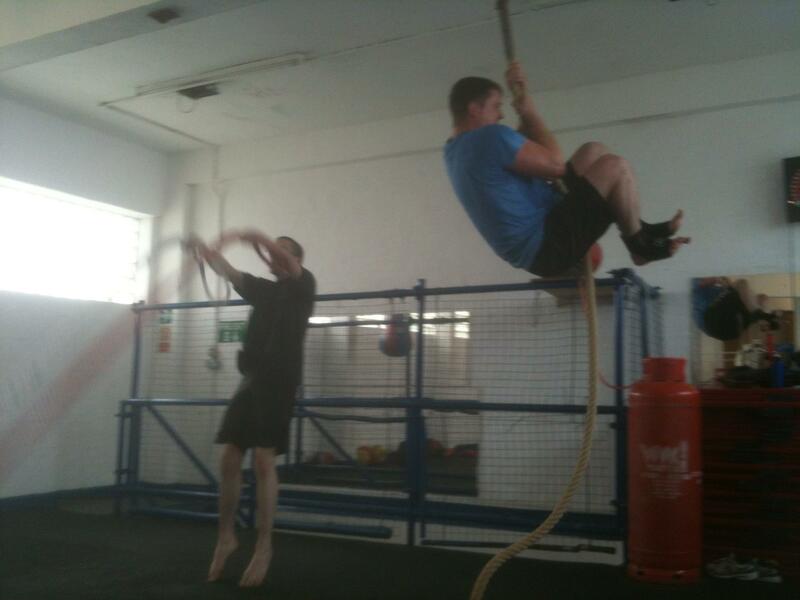 They are places for anyone, regardless of background, to take part in one of the best kept secrets of exercise. The one where you don’t even realise it. Contact us for a FREE taster session here.